Robert Shelton helped start Mr. Dylan’s career with his Sept. 29, 1961, profile. Robert Shelton, born Robert Shapiro (June 28, 1926, Chicago, Illinois, United States – December 11, 1995, Brighton, England) was a music and film critic. Shelton was perhaps most notable for the way in which he helped to launch the career of a then unknown 20-year-old folk singer named Bob Dylan. 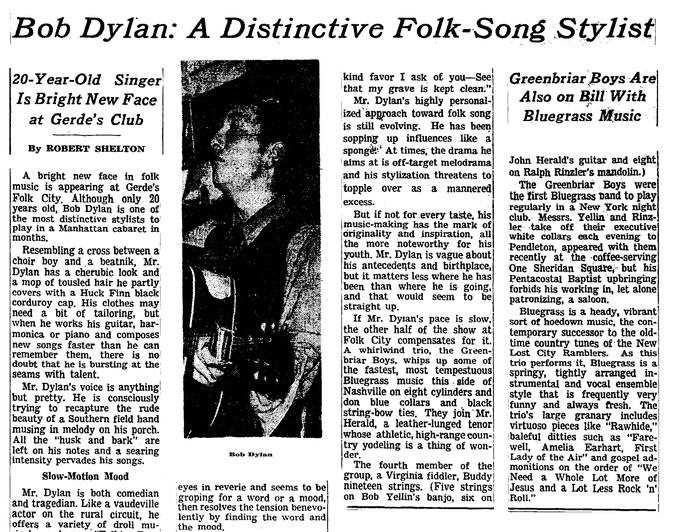 In 1961, Dylan was performing atGerdes Folk City in the West Village, one of the best-known folk venues in New York, opening for a bluegrass act called the Greenbriar Boys. Shelton’s positive review, in The New York Times, brought crucial publicity to Dylan, and led to a Columbia recording contract. 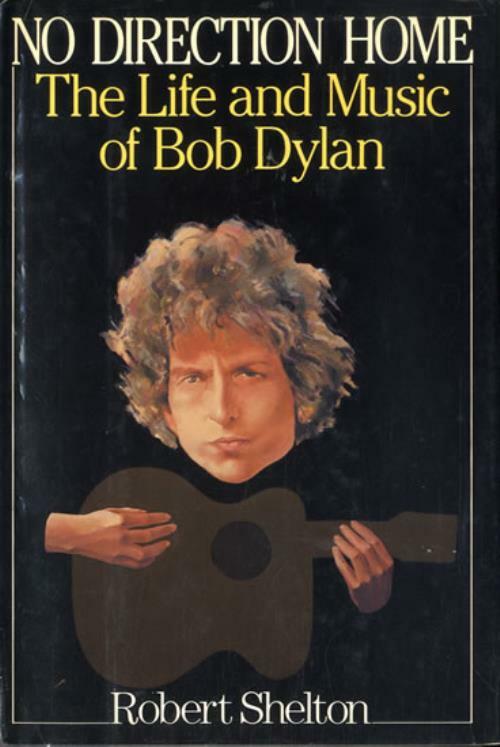 Robert Shelton’s review was the start of a proffesional relationship with Bob Dylan, and he wrote the liner notes to the album, Bob Dylan. Dylan also lent Shelton’s apartement to have a place to write. Hallgeir, I’m glad you’ve brought this post today to set the record straight. Robert Shelton, if not more important, has been as important as John Hammond ( and Suze Rotolo ) to help Bob ( “Lucky” ) Dylan take off faster than any other at the time.